Please message me with questions at: [email protected] . 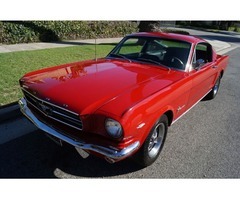 Original southern California 'Black License Plate' rust free 1965 Ford Mustang 2+2 'A' code 289/225HP 4BBL V8 Fastback built in San Jose. The car is very striking with a still very presentable older repaint in 'Poppy Red' from it's original 'Vintage Burgundy Metallic' factory color paint and the original Black color 'Crinkle Vinyl' standard interior is still in fabulous condition with no noticeable flaws and the wooden steering wheel and dashboard still look almost as they must have when the car left the factory floor almost 50 years ago! 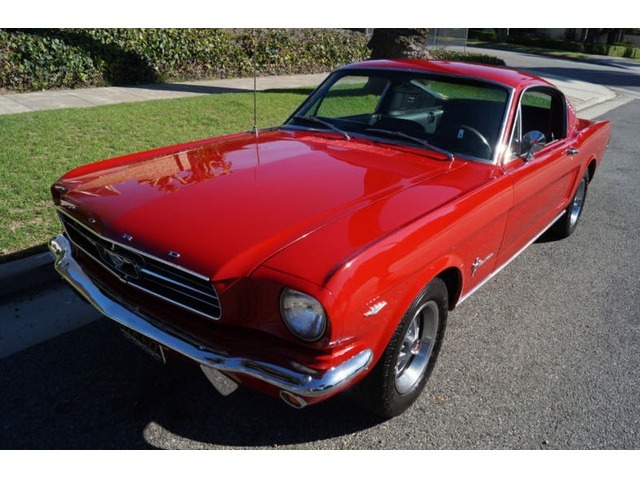 This is is one very fine example of this very collectible and desirable early production example of the legendary Ford Mustang in turn-key ready daily appreciating, daily driving and daily head-turning condition!